Enjoy a morning or afternoon Educational Eco Wildlife tour with narrative by environmental educator and captain Bonnie Schmidt. Hear about the building of Heron from Captain Nigel (Twig) while we glide across the bay. Or enjoy a relaxing Sunset Sail with happy hour snacks and beverages. Private sails and custom charters also available for groups up to 30. 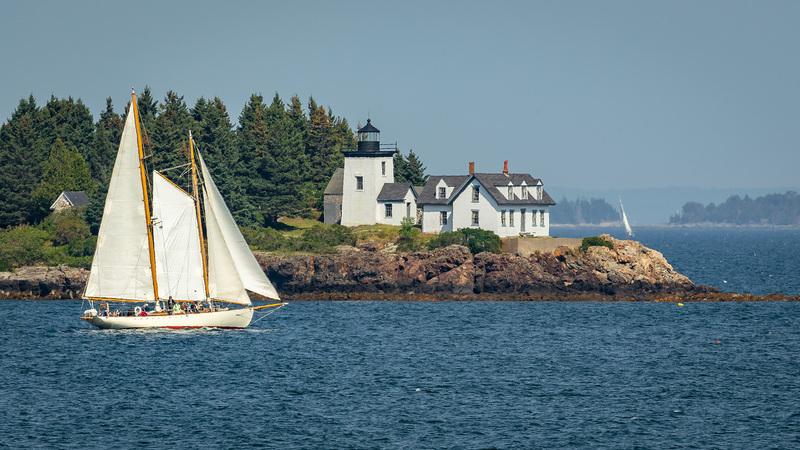 Sail from Rockport Harbor into Penobscot Bay on the Maine Coast aboard Schooner Yacht HERON, a 65’ John Alden designed Classic Schooner Yacht. Experience the thrill of sailing a classic wooden schooner. HERON is fast and steady as she sails among the pristine islands of Penobscot Bay. The Schooner Yacht HERON is truly the finest day sailor in the fleet. Heron is a famous & proven design, is fast and comfortable with round the world capabilities. It is one of the most famous classic yachts of all time. 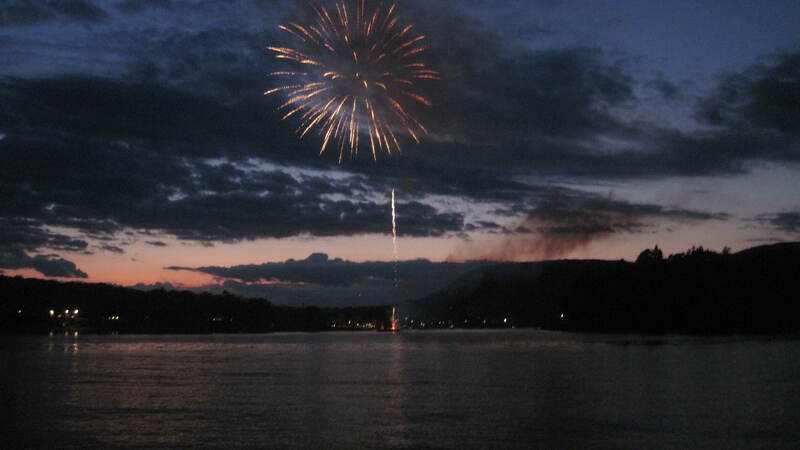 HERON is family built, owned and operated by the Bower family of Camden, Maine. Both Nigel (Twig) and Bonnie are 100 ton USCG licensed captains, having sailed extensively in the Gulf of Maine, trans-Atlantic and the Caribbean, sailing skiffs, schooners and square riggers. We have been doing tours from Rockport Harbor for more than 20 years. Daughters Elissa and Rachel have sailed on board since they were born. Heron has sailed over 100,000 sea miles since her launching in 2003. The Schooner Heron also features as “Sanderson’s Yacht” in the Johnny Depp film “Rum Diary” based on the book by Hunter S. Thompson. The winter season finds Schooner Heron in the warm turquoise waters of the Caribbean. Sail with us on an adventure vacation among the islands of St Vincent and the Grenadines. White sandy beaches, colorful coral reefs, trade-wind sailing and delicious Caribbean food are only a few of the treasures you will find on a cruise on the Heron. Let us share our sailing adventures with you.Contact us for more information on any of our trips in Maine and the Caribbean. We would love to create your ultimate sailing experience. Bucket lists welcomed!